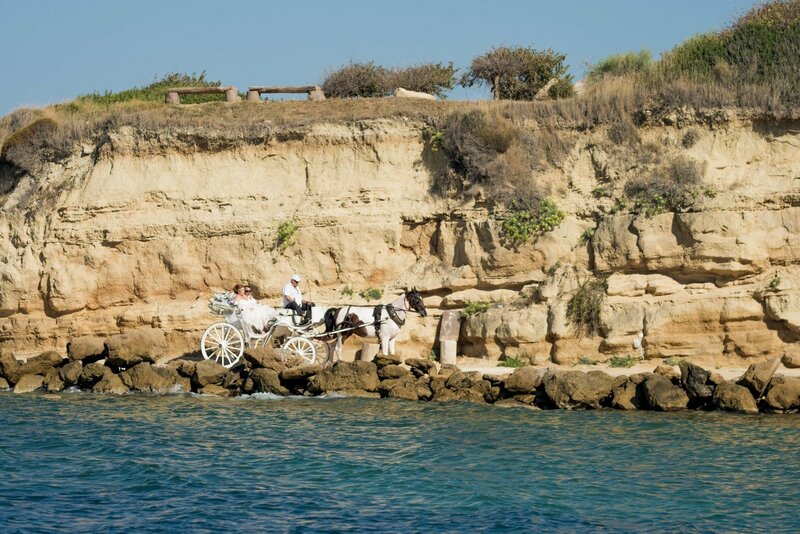 Imagine the bride arriving by horse drawn carriage around the mountain as the waves splash against the shore. 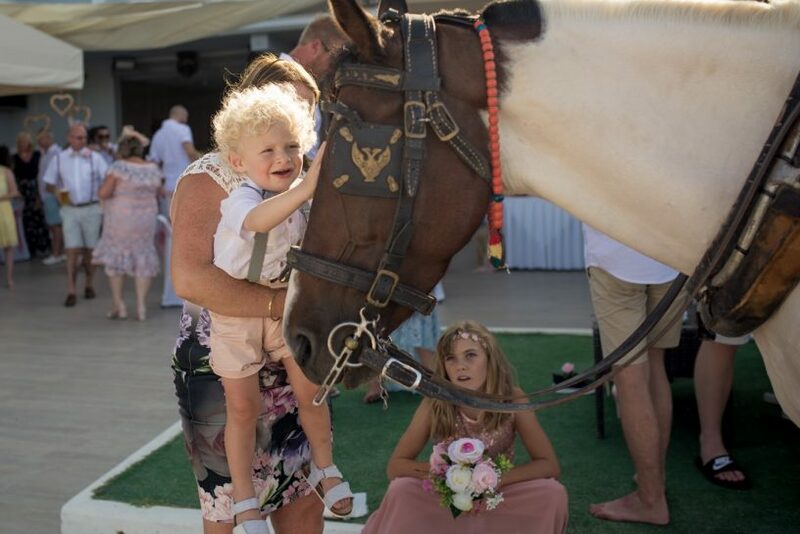 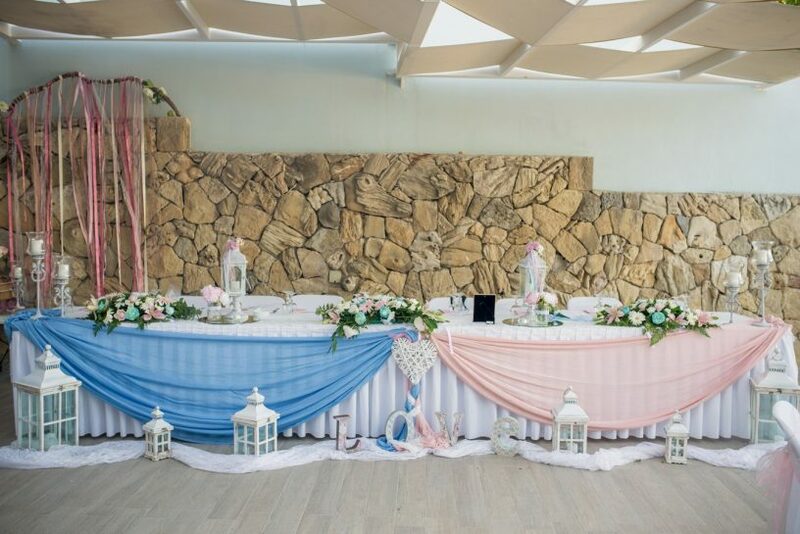 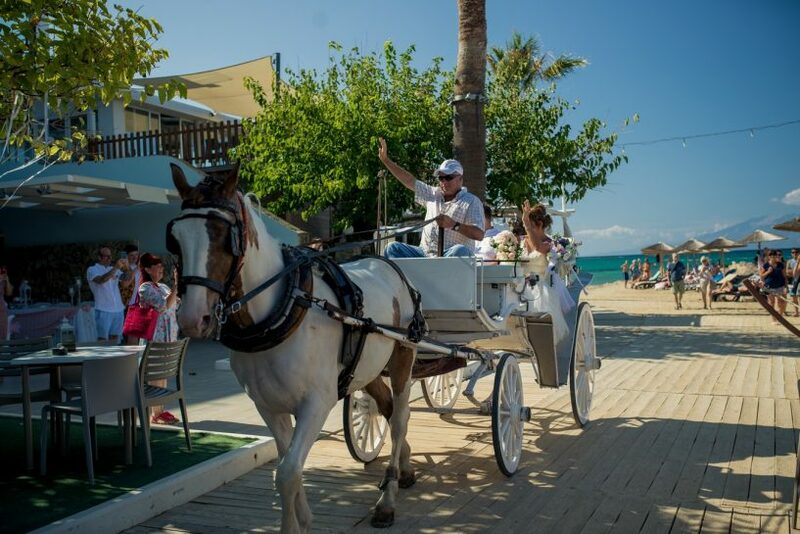 This image doesn’t only take place in fairytale stories but can come to life at ourSentido Alexandra Beach Resort venue. 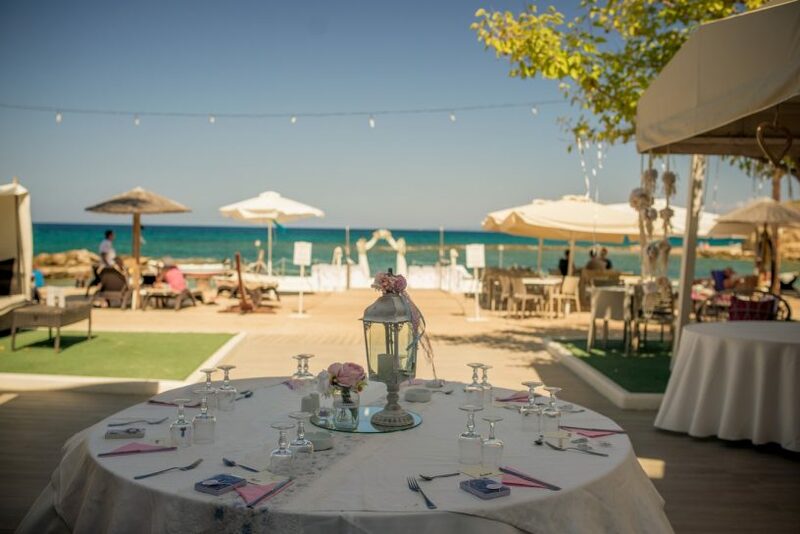 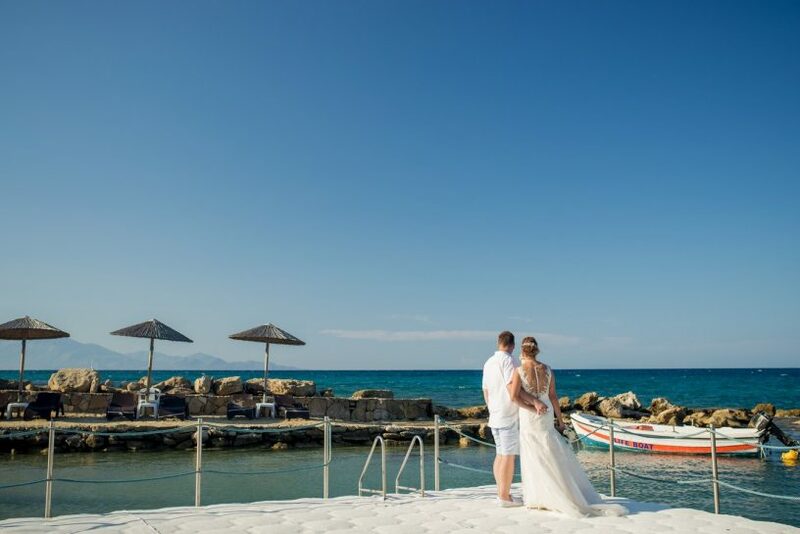 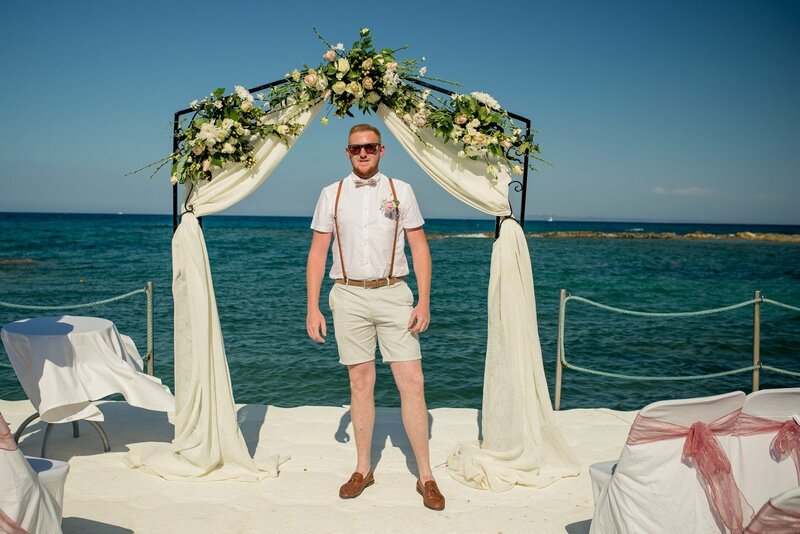 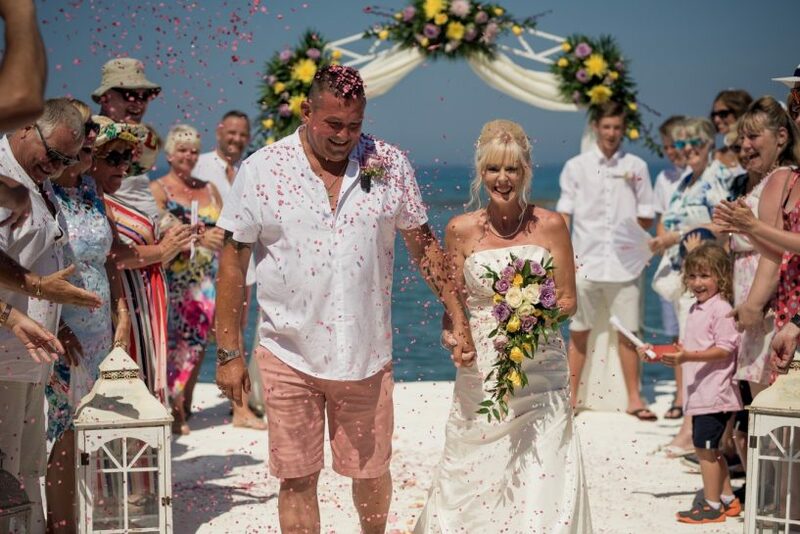 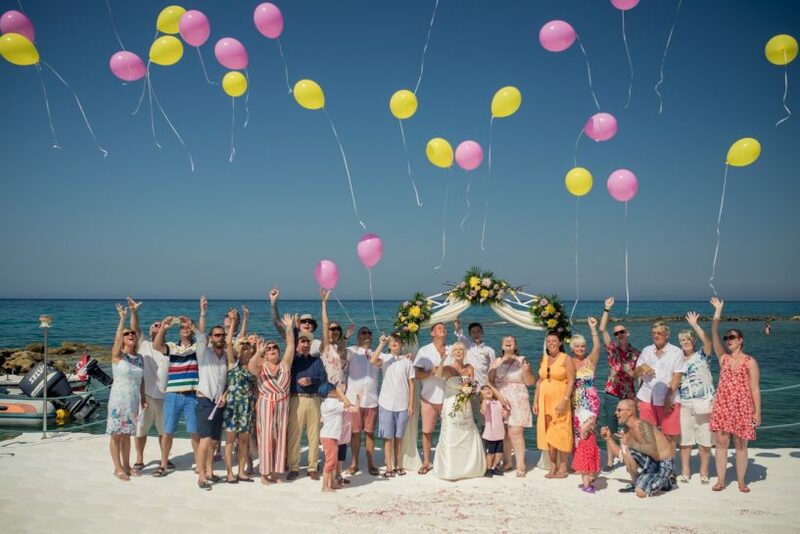 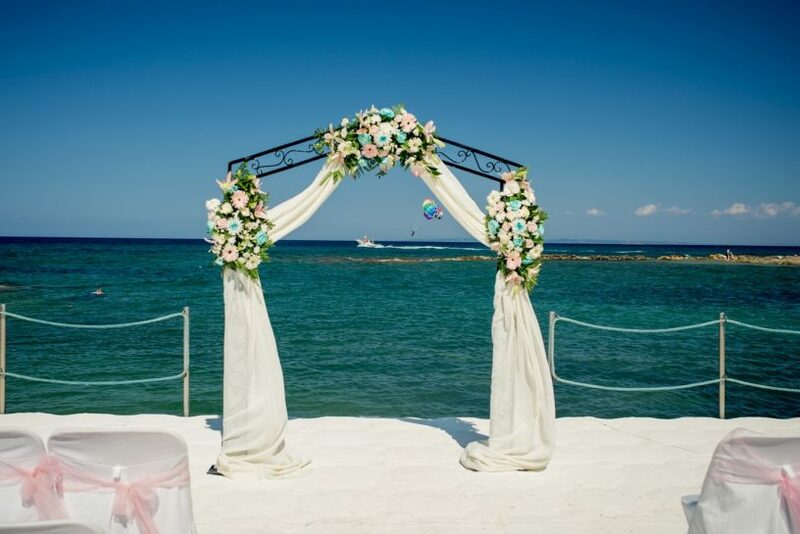 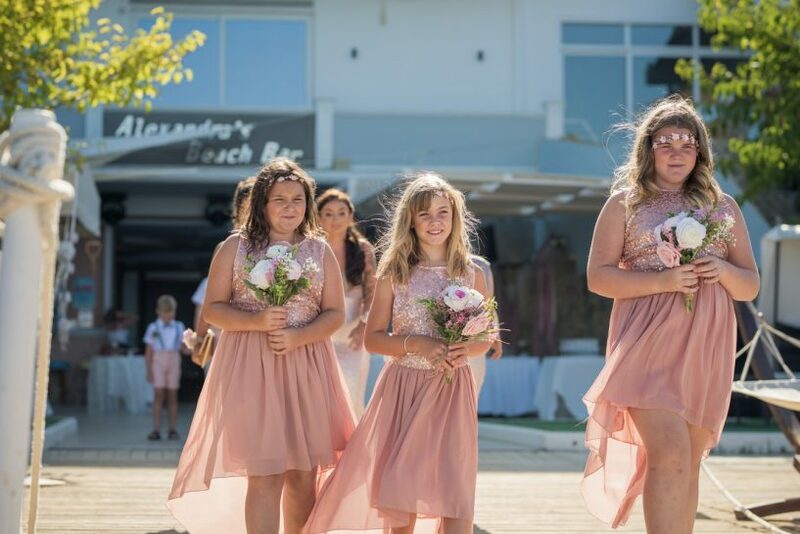 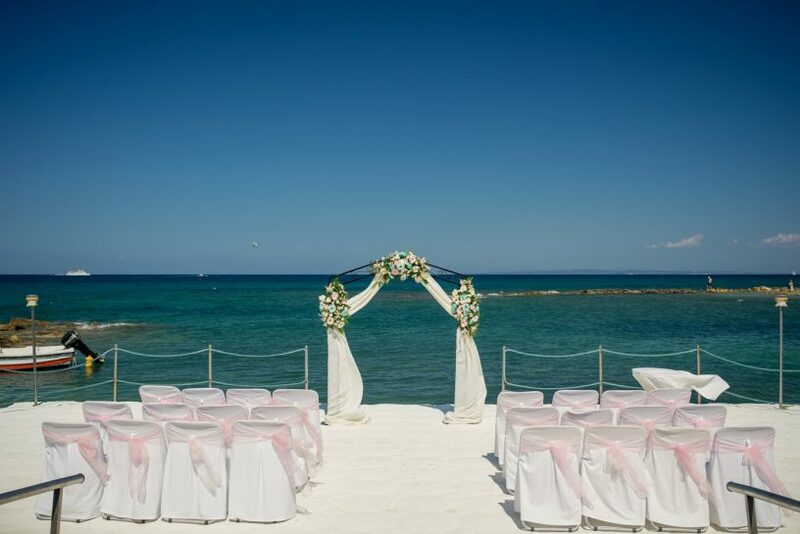 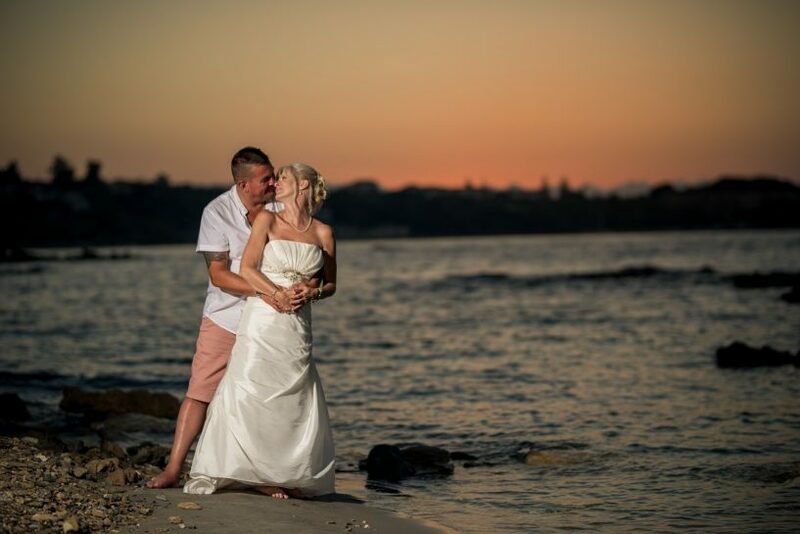 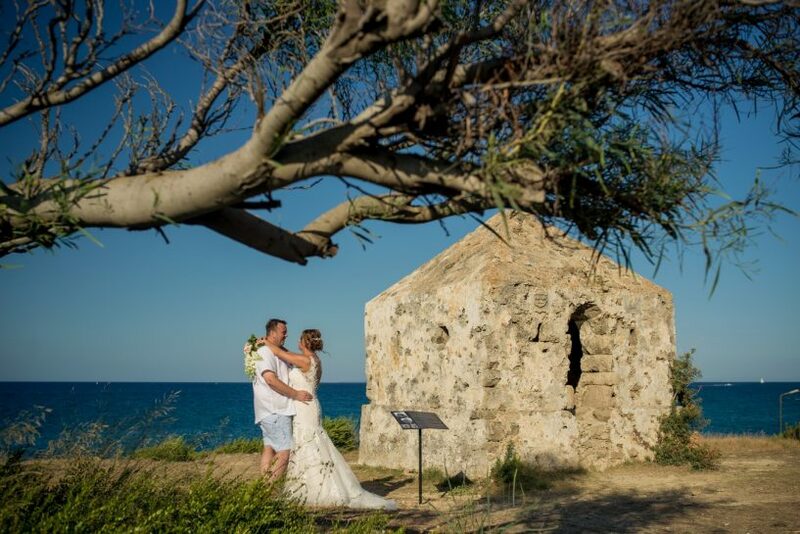 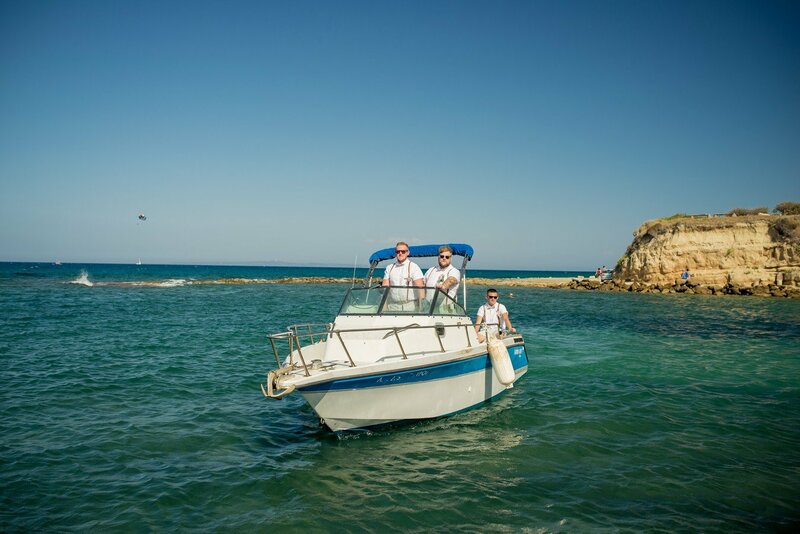 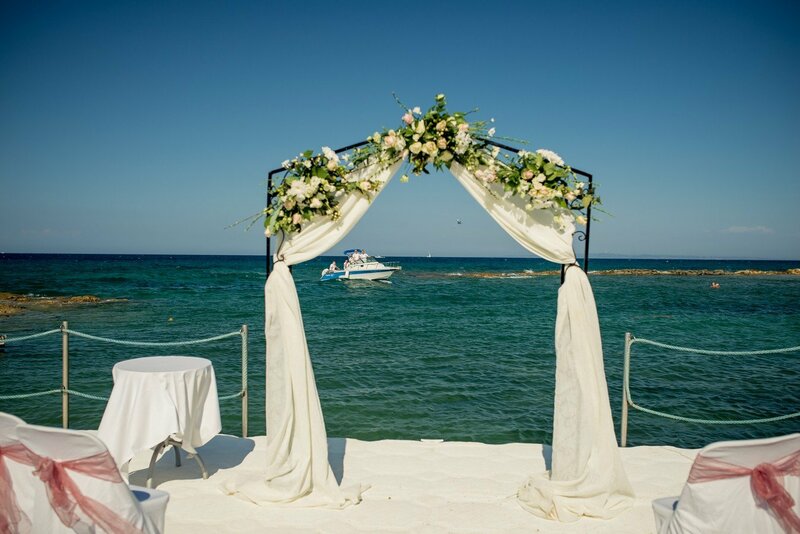 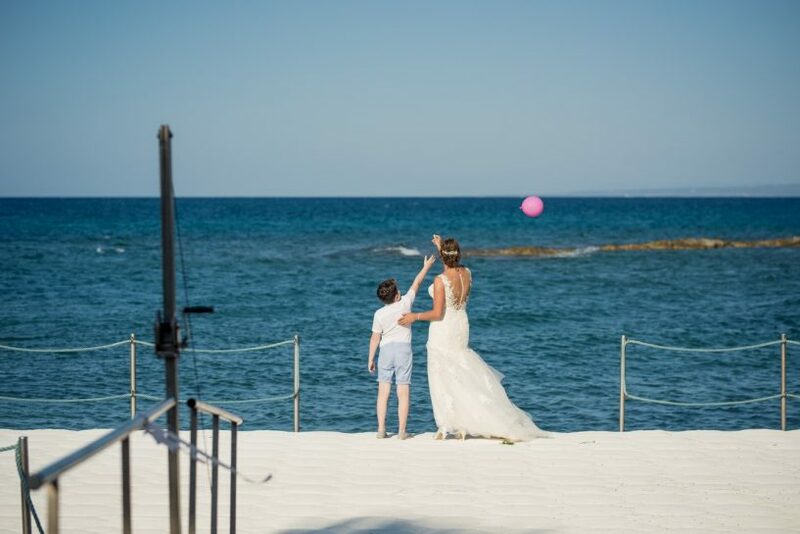 Located in the resort of Tsilivi and directly on the seafront, makes this a very popular choice for beach weddings. 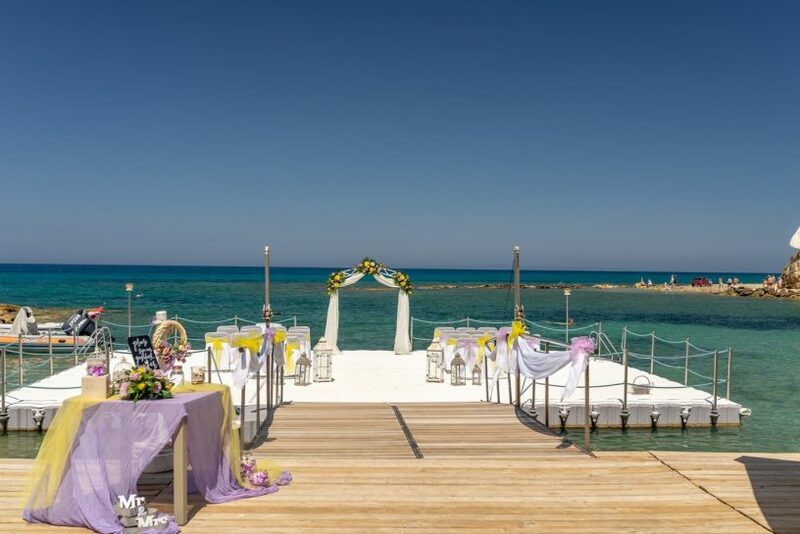 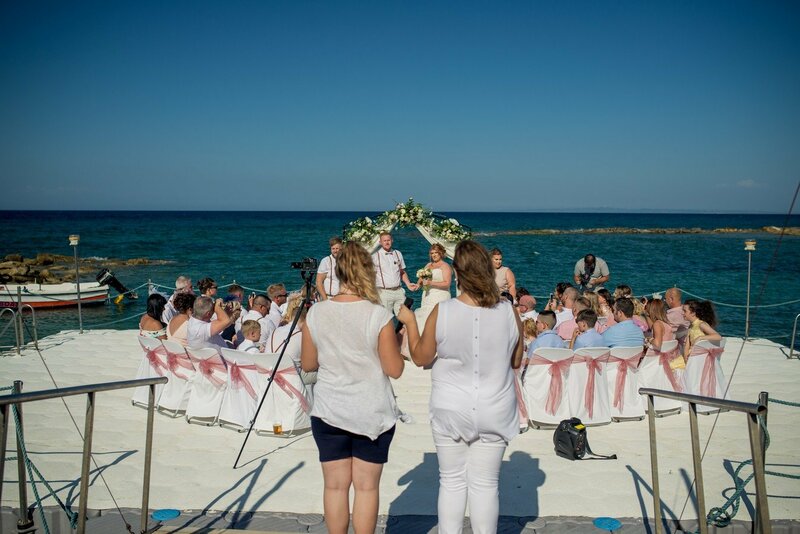 The wedding ceremony takes place on the floating platform that is set up over the waterfront. 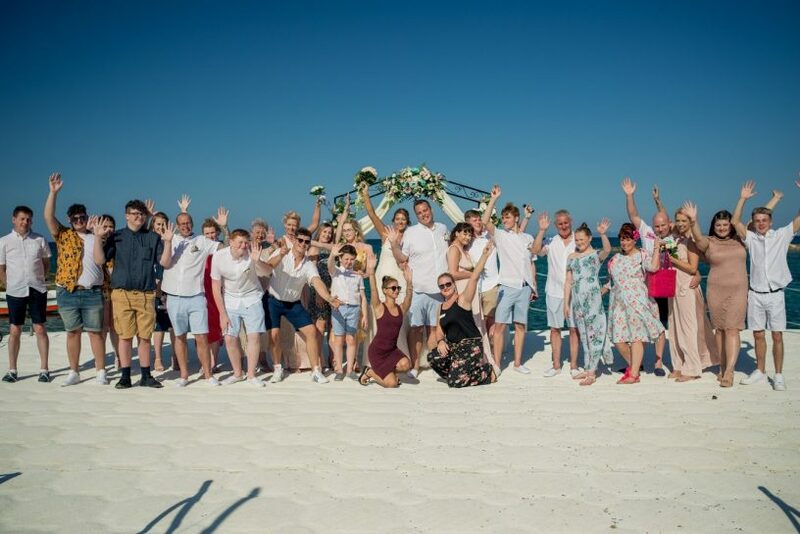 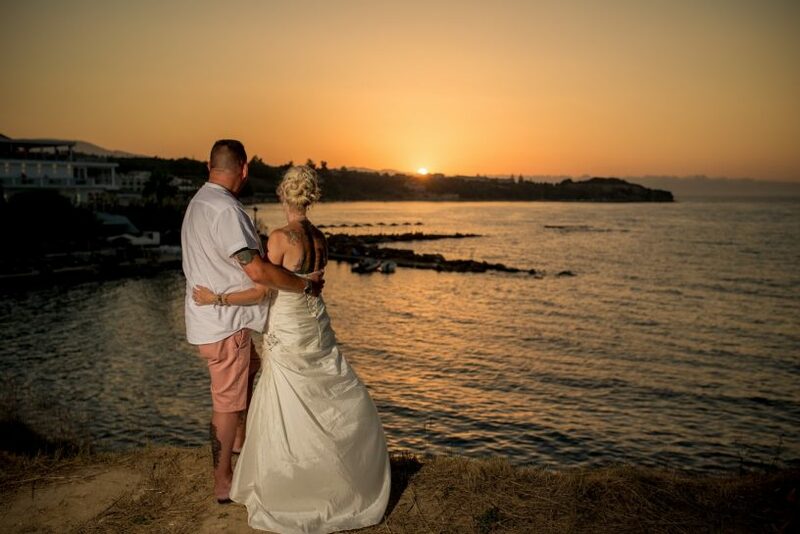 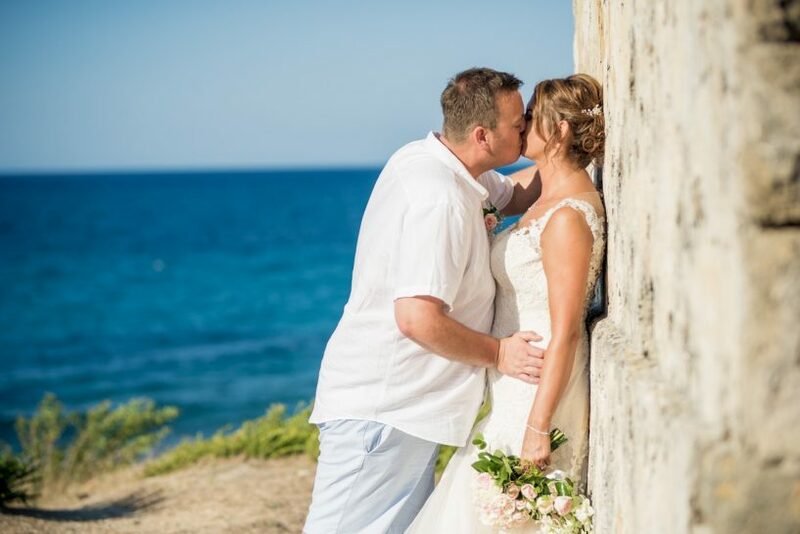 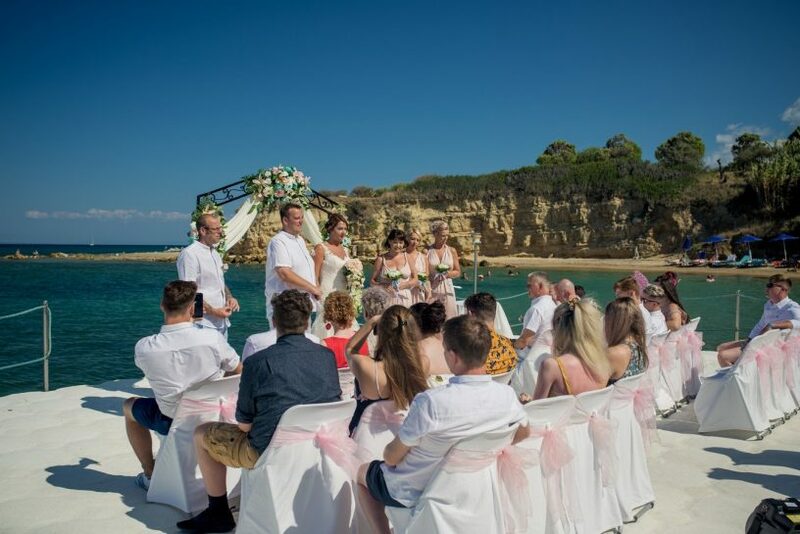 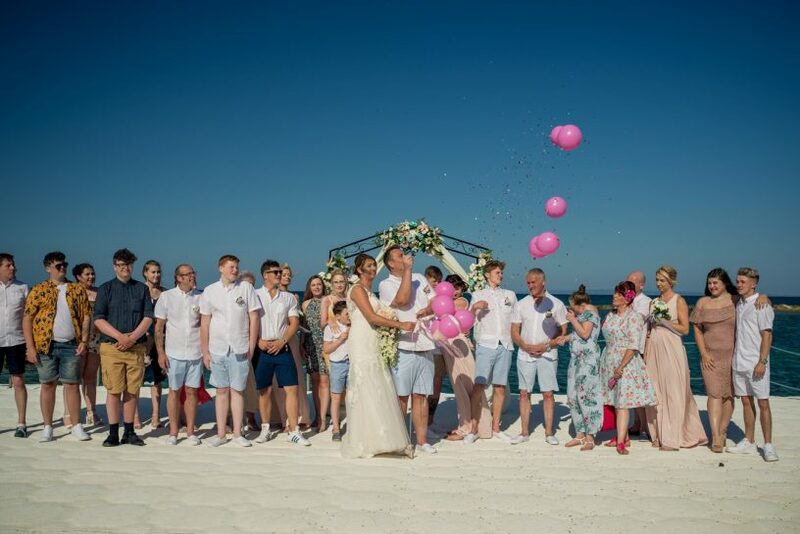 This fantastic venue offers both ceremony and reception in the same area thus avoiding the hassle of transferring your guests from one location to another. For the ceremony we can provide dressed chairs with bows, red or white carpet aisles, arches or floral stands just to mention a few of our finishing touches. 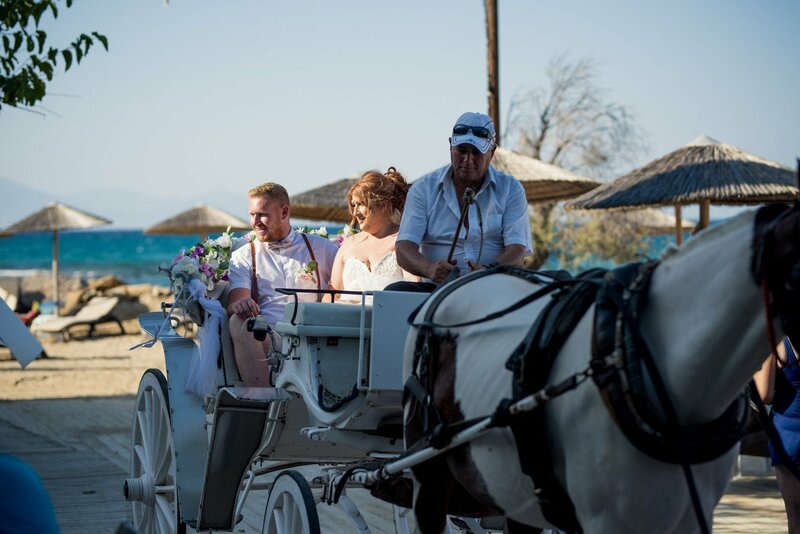 As the couples gallops off into the sunset for a horse/carriage ride, the guests remain behind at the reception area whilst enjoying their drink. 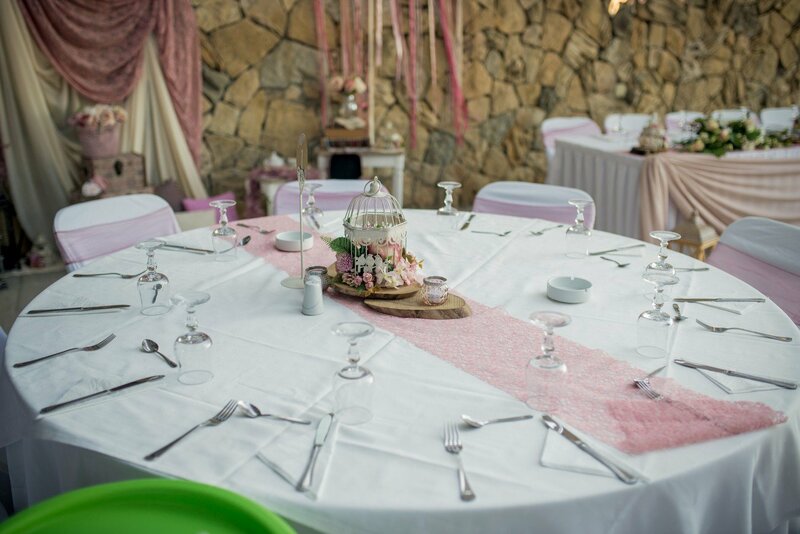 For your reception we can provide dressed chairs, top table with skirting and round tables to make your seating arrangements comfortably organized so everyone can enjoy their evening. 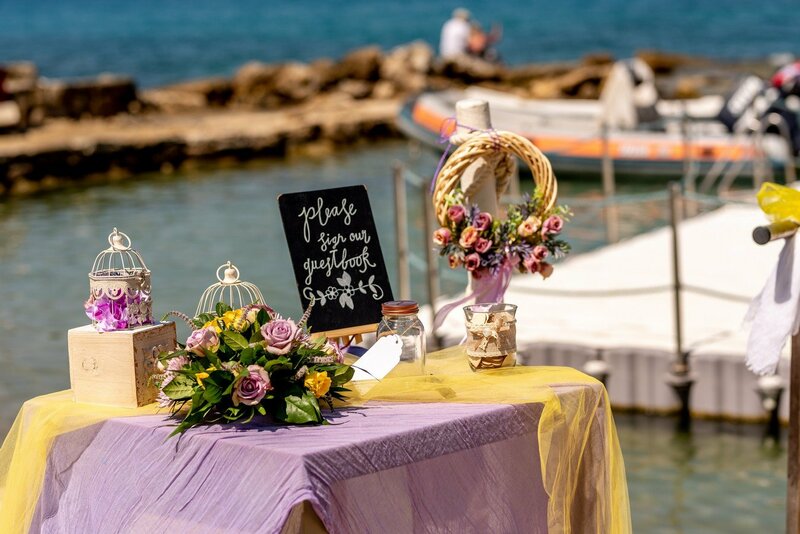 Our decorator then turns the venue into a breathtaking wedding reception including lanterns, candles, balloons and fairylights. 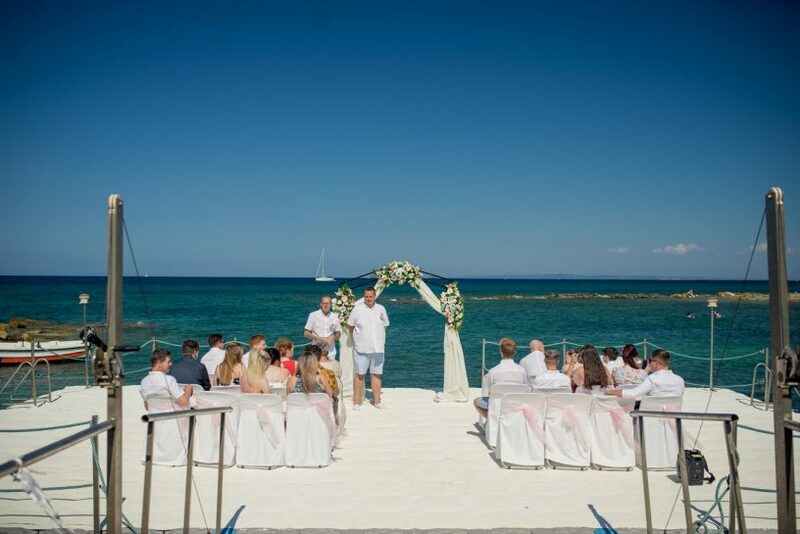 We start off with dinner as the sun is setting in the distance and as we enjoy our dessert the moon makes its entrance with its glimmering beam across the sea. 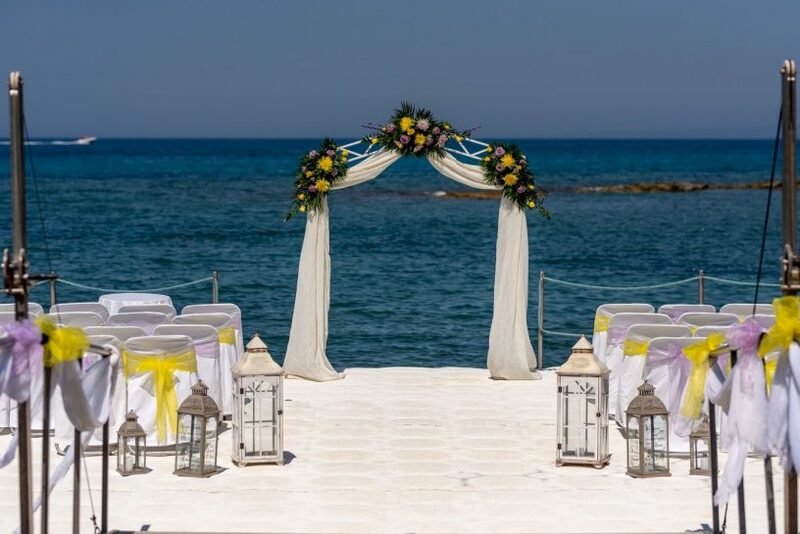 With the lighting of the candles the final touches are ready. 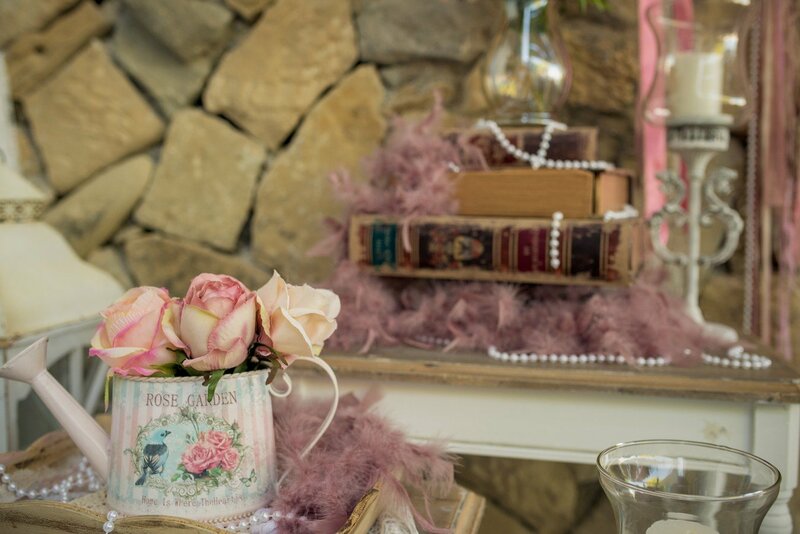 There is nothing left to do but kick off your shoes and enjoy the entertainment as you dance the night away. 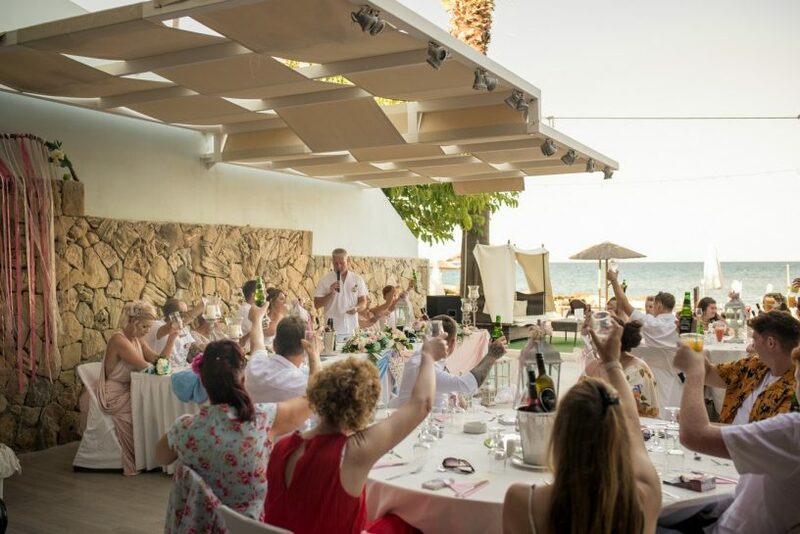 The waiters with their bow tie service will pamper your guests and make them feel special. 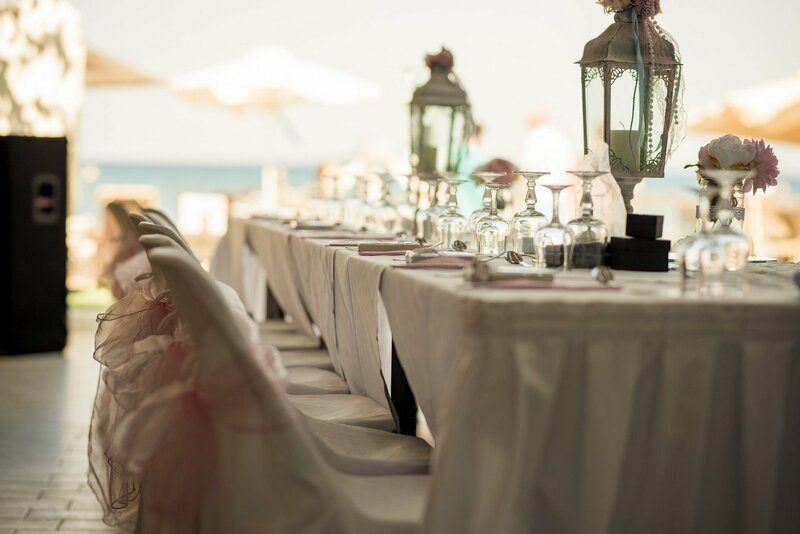 The restaurant has put a lot of emphasis on every detail to make the surrounding area comfortable. The adjacent hotel can provide accommodation for all and special honeymoon suites for the newlyweds. 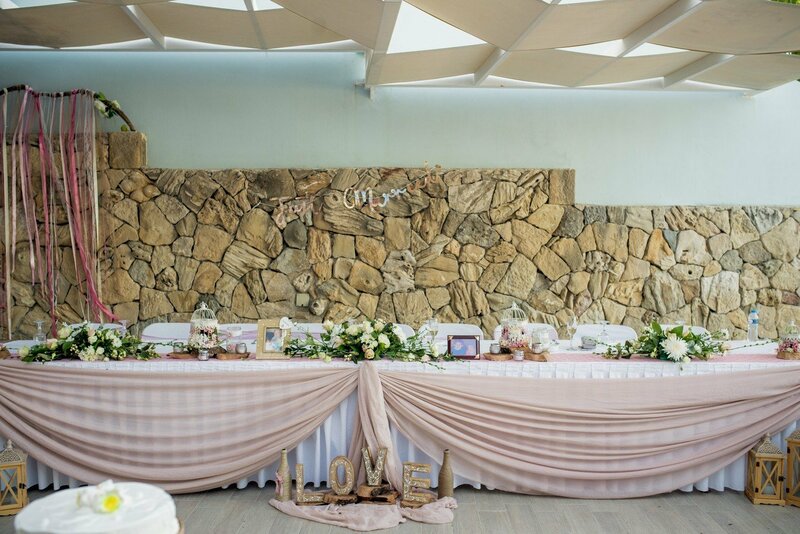 The reception area can be hired privately for your group.